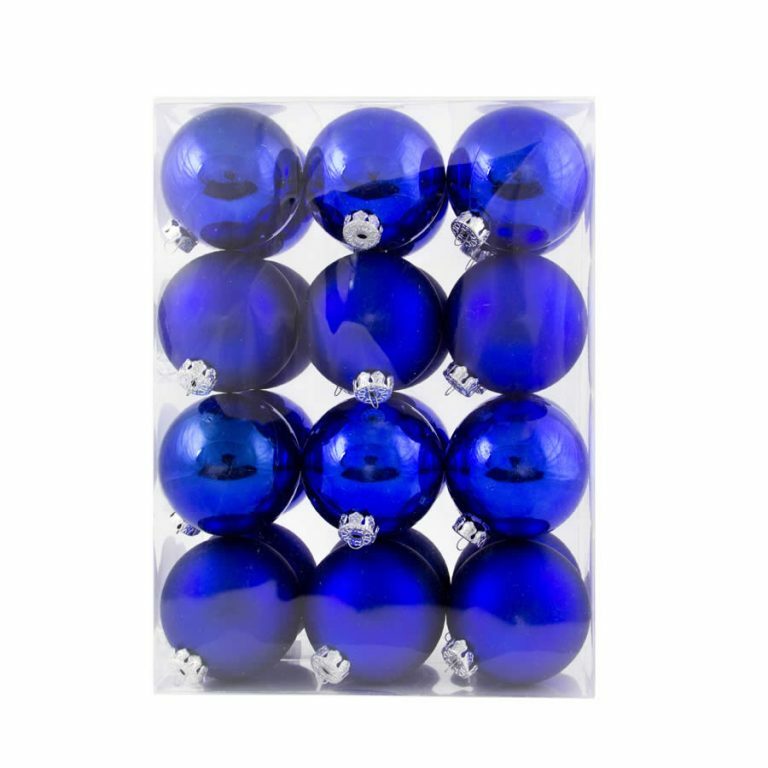 Get some simply stunning bling on your Christmas tree with our 8cm Blue Embossed Baubles. Each deep blue bauble is embossed with a glitter floral design and sequins, and has a decorative silver top to hold a hook or thread for hanging. Our Blue Embossed Baubles come in packs of 6 and will look brilliant with our Silver Glitter Swag Baubles or our Antique Silver Swag Baubles. These also look lovely hung on silver tinsel and strung across a room for an extra decorative touch. Shatterproof Christmas Decorations are the best choice for homes with young children, and cats and dogs. Why take the risk on glass baubles when you can decorate safely with shatterproof baubles? 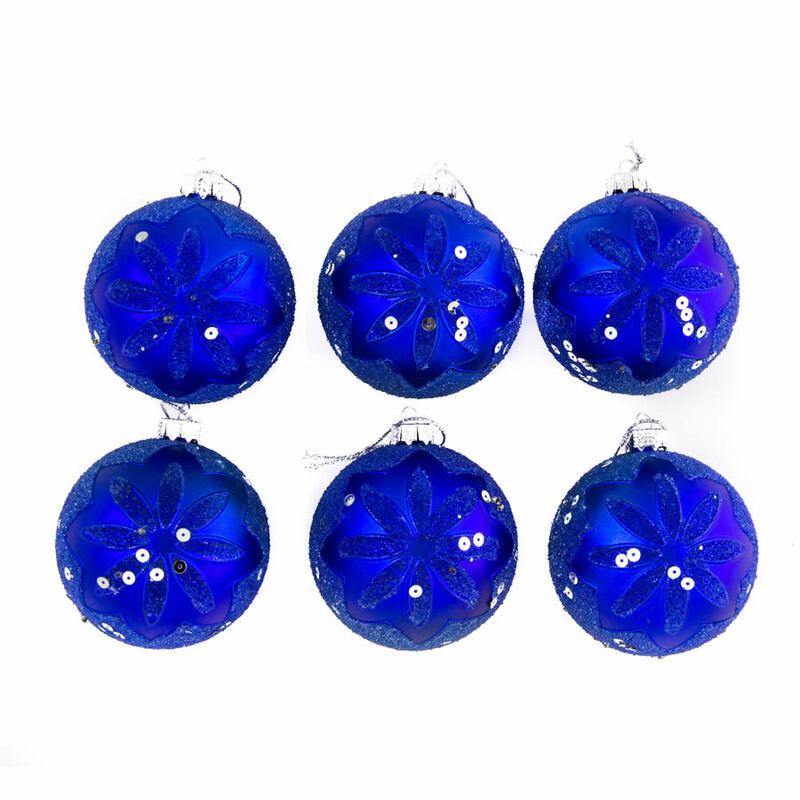 Get some simply stunning bling on your Christmas tree with our 8cm Blue Embossed Baubles. Each deep blue bauble is embossed with a glitter floral design and sequins, and has a decorative silver top to hold a hook or thread for hanging. Our Blue Embossed Baubles come in packs of 6 and will look brilliant with our Silver Glitter Swag Baubles or our Antique Silver Swag Baubles. These also look lovely hung on silver tinsel and strung across a room for an extra decorative touch. Shatterproof baubles are the best choice for homes with young children, and cats and dogs. Why take the risk on glass baubles when you can decorate safely with shatterproof baubles?